Well it depends where you happen to be standing. If you’re standing in a cow pasture, then yes. If you’re in the ocean, I would have to question those odds. what if it happens to be a female bullshark? Then its half and half. And the ratio of people swimming in water with sharks, to the ratio of people farming cows, is incredibly less. 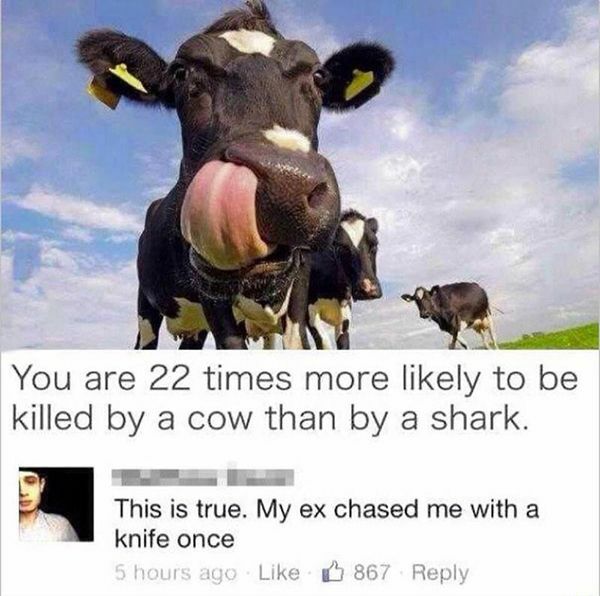 So of course more people have a chance of being killed by a cow than a shark.